Chitosan bears numerous properties, such as biocompatibility, biodegradability and non-toxicity making it suitable for use in different biomedical fields. Zinc (Zn) is required for fibroblasts proliferation and collagen synthesis as essential elements of wound healing. Its nanoparticles are well known for their capability to enhance wound healing by cell adhesion and migration improvement through growth factors-mediated mechanisms. Poor blood supply and unique histological characteristics of tendon make its regeneration always slow. Also, adhesion formation between tendon and its surrounding tissues is another problem for neotendon to return to its normal structure and functional activities. In this study, a novel tubular scaffold of zinc oxide (ZnO) nanoparticles loaded chitosan has been fabricated for tendon repair. Experimental complete tenotomy of deep digital flexor tendon in a rabbit model was done and scaffolds were placed in the transected area after two ends suturing. After four and eight weeks, adhesion formation around the tendons and tissue reaction to the scaffolds were evaluated macroscopically. Inflammation, angiogenesis and collagen fibers arrangement were also analyzed in histopathological evaluations. After eight weeks, the scaffolds were absorbed completely, adhesions around the tendon were decreased and there was no sign of significant tissue reaction and/or infection in histopathological analyses. The reduced adhesion formation, improved gliding function and better histopathological characteristics suggest this scaffold application as a potential therapy in treatment of tendon acute injuries. Best TM, Garrett WE. Basic science of soft tissue: Muscle and tendon. Orthopedic sports medicine: Principles and practice. Philadelphia, USA; WB Saunders 1994: 25-45. O'Brien M. Functional anatomy and physiology of tendons. Clin Sports Med 1992; 11(3): 505-520. Sharma P, Maffulli N. Biology of tendon injury: Healing, modeling and remodeling. J Musculoskelet Neuronal Interact 2006; 6(2): 181-190. Khademhosseini A, Vacanti JP, Langer R. Progress in tissue engineering. Sci Am 2009; 300(5): 64-71. VandeVord PJ, Matthew HW, DeSilva SP, et al. Evaluation of the biocompatibility of a chitosan scaffold in mice. J Biomed Mater Res 2002; 59(3): 585-590. Yussof SJM, Halim AS, Saad AZM, et al. Evaluation of the biocompatibility of a bilayer chitosan skin regenerating template, human skin allograft, and integra implants in rats. ISRN Mater Sci 2011; doi:10.5402/ 2011/857483. Jayasuriya AC, Aryeai A, Jayatissa AH. ZnO nano-particles induced effects on nanomechanical behavior and cell viability of chitosan films. Mater Sci Eng:C 2013; 33(7): 3688-3696. Saper RB, Rash R. Zinc: An essential micronutrient. Am Fam Physician 2009; 79(9): 768-772. Kumar PT, Lakshmanan VK, Anilkumar TV, et al. Flexible and microporous chitosan hydrogel/nano ZnO composite bandages for wound dressing: in vitro and in vivo evaluation. ACS Appl Mater Interfaces 2012; 4(5): 2618-2629. Raisi A, Azizi S, Delirezh N, et al. Use of chitosan conduit for bridging small-gap peripheral nerve defect in sciatic nerve transection model of rat. Iran J Vet Surg 2010; 5(1,2): 89-100. Ao Q, Wang A, Cao W, et al. Manufacture of multimicrotubule chitosan nerve conduits with novel molds and characterization in vitro. J Biomed Mater Res A 2006; 77(1):11-18. Sharma S. Efficacy of paraformaldehyde tablets in sterilization of polyvinyl-chloride tubing. Indian J Ophthalmol 1998; 46(3): 174-175. Tang JB, Shi D, Zhag QG. Biomechanical and histologic evaluation of tendon sheath management. J Hand Surg Am 1996; 21(5): 900-908. Hadi SA, Sukmawan J. Effect of lyophilized amniotic membrane, hyaluronic acid, and their combination in preventing adhesion after tendon repair in New Zealand white rabbits. Med J Indones 2014; 23(2): 65-73. Thomopoulos S, Zaegel M, Das R, et al. PDGF-BB released in tendon repair using a novel delivery system promotes cell proliferation and collagen remodeling. J Orthop Res 2007; 25(10): 1358-1368. Boyer MI. Flexor tendon biology. Hand Clin 2005; 21 (2)159-166. Behfar M, Sarrafzadeh-Rezaei F, Hobbenaghi R, et al. 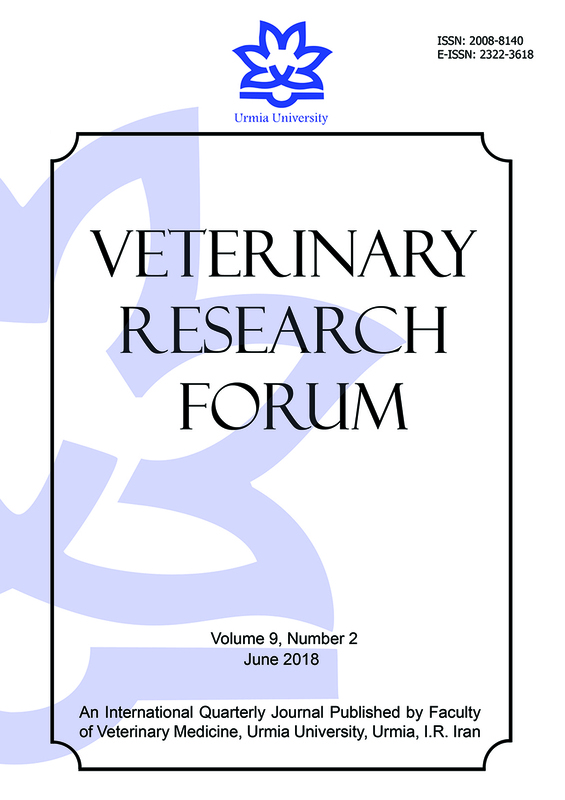 Effects of uncultured adipose derived stromal vascular fraction on tendon healing in rabbits: A histological and immunohistochemical study. Iran J Vet Surg 2009; 4(1,2): 25-36. Ni T, Senthil-Kumar P, Dubbin K, et al. A photoactivated nanofiber graft material for augmented Achilles tendon repair. Laser Surg Med 2012; 44(8): 645-652. Liu S, Zhao J, Ruan H, et al. Biomimetic sheath membrane via electrospinning for antiadhesion of repaired tendon. Biomacromolecules 2012; 13(11): 3611-3619. Liu S, Qin M, Hu C, et al. Tendon healing and anti-adhesion properties of electrospun fibrous membranes containing bFGF loaded nanoparticles. Biomaterials 2013; 34(19): 4690-4701.